Suitable containers include small plastic pots, translucent plastic boxes or cut down milk bottles. Ensure they have drainage holes. Ferns are not generally fussy as to compost – however, peat based is ideal and coir is often not suitable. Do not add any fertiliser at this stage. Sterilise by placing kitchen towel over the tray and pouring boiling water over to thoroughly soak the compost. Allow to cool completely before sowing. Remove the kitchen towel immediately prior to sowing.This will remove any stray weed spores that may have landed while the tray was cooling. Thin and even sowing is ideal. Spores are VERY small and dust-like – a small speck goes a long way. After sowing each pan, place in a sealable plastic bag and wash your hands to reduce cross-contamination. Spores do not grow directly into ferns. Initially prothalli are formed. They may form after a few weeks or a few months or even a year after sowing. Be patient! Eventually the prothalli will be replaced by small fern plants. This should happen naturally, but may take some time. Something that may speed this process up is spraying with sterilised water if the pots look dry. Something that slows it down is the prothalli being too crowded – try taking out some and hence making holes in the blanket of growth if the spores have been sown thickly. Ensure pots/modules are clean and fill with compost. The same composts can be used as for sowing. Again, additional fertiliser is not normally required. Water the pots and allow to drain overnight. 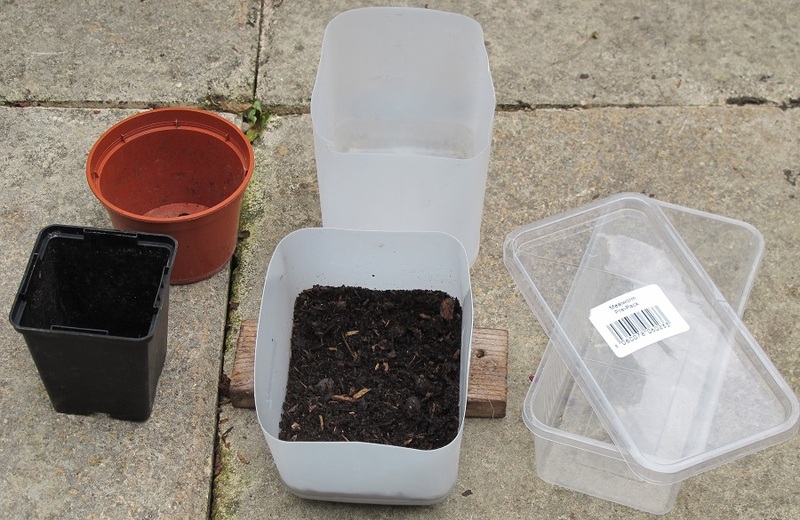 Choose pots or modules suitable to the size of the plants and of the bags you intend to use. 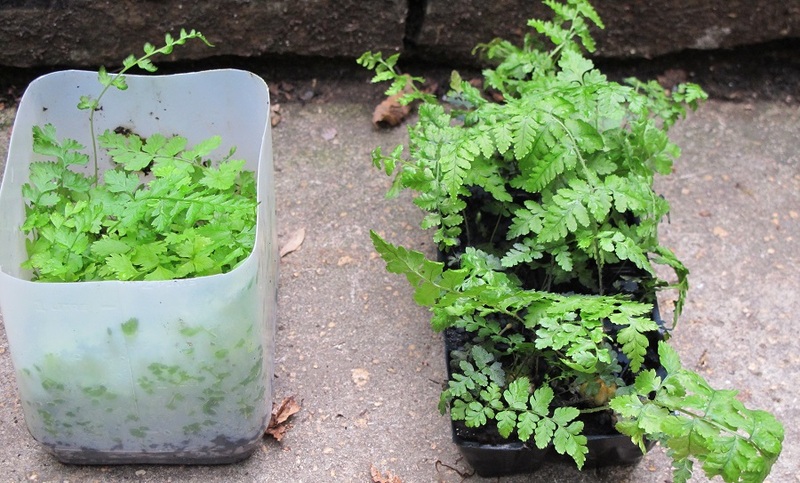 Ideally, patch out when the fern plants have several leaves and are clearly growing. 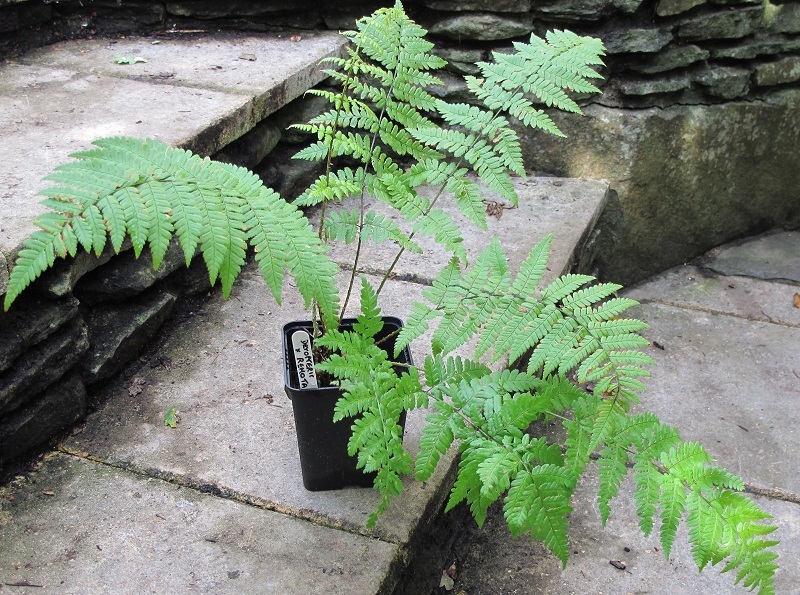 Patching out when very small is possible, but tiny fern plants will need delicate handling and aftercare. This is one of the trickiest stages of fern spore growing. This is because the fern plants have been in their own microclimate in the plastic bag since sowing and it’s stressful to be introduced to the outside world. 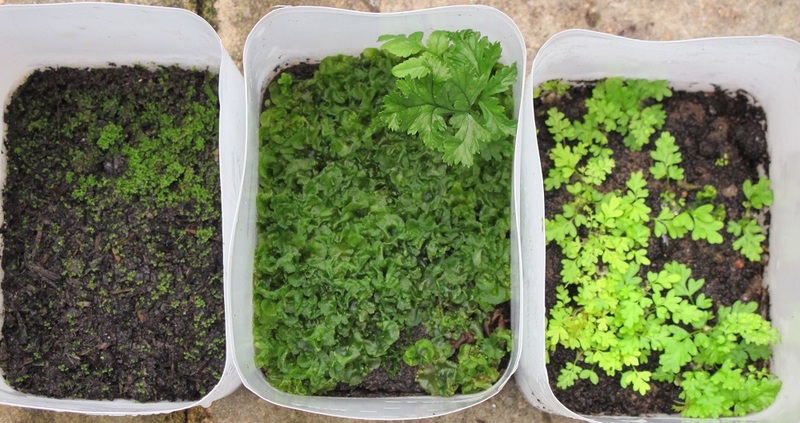 Wait until small plants are filling their pots and are well established so they are more able to survive the move. Two methods to lessen the shock are possible Either open the bags gradually, allowing more and more air flow, eventually cutting off the top of the bag. After a week or two of acclimatisation, pot them up, water and place in a shady frame. Alternatively, you may pot up the plants and acclimatise them after potting by giving them some temporary cover and misting if they show signs of wilting, again over a week or two. Whatever method you chose, some losses are likely, but many will survive.